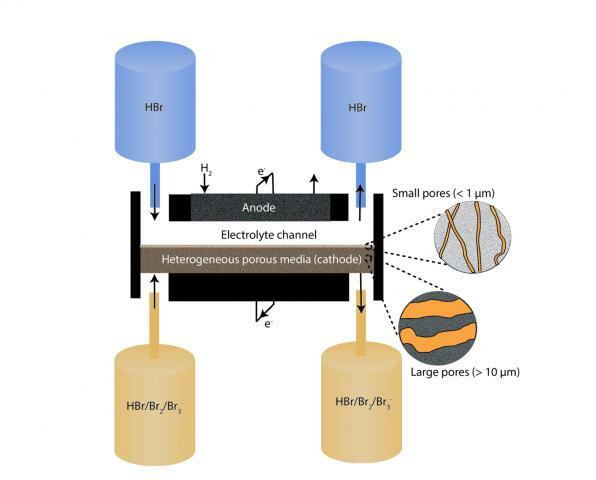 The hydrogen bromine laminar flow battery (HBLFB) uses abundant, safe, energy dense, and low-cost reactants in an innovative cell architecture that does not require expensive membranes. Using our first generation, proof‐of‐concept prototype, we demonstrated record power density for a membraneless battery (up to 0.8 W/cm2 at room temperature). We here propose to further revolutionize flow batteries by designing and demonstrating the world’s first cyclable membraneless flow battery using hydrogen bromine chemistry and innovative architecture designs and materials.